The Korean peninsula, June 2009. I could feel electricity in the air. I was excited to be here. I got settled, and I plugged in my Xbox 360's power cable to an adaptor that I bought for $US10 at the airport. That went into the outlet in the wall and two seconds later, I heard a small pop. Then, I could smell electricity in the air, but I was hoping my nose had been out in the cold too long. "What happen!" I exclaimed and examined the power supply, hoping to see the orange glow in the light indicator that would tell me it was ready to play. I could see no light. "Main console turn on," I commanded as I thumbed the power button on the Xbox 360. It did not respond. "I wasn't planning on relying on this thing anyway," I thought. To be a bit unfair, I wasn't entirely surprised. I had brought the Xbox 360 in the box that Microsoft used to send to customers who had experienced the Red Ring of Death, but I admit it was entirely my fault that my power brick died. I did a little searching on the internet, and I learned that I needed to use a voltage converter, and not an adaptor, for electronics. The next day, I went to a department store to buy a voltage converter. I did not find my voltage converter at the Korean equivalent of a Best Buy, but at the Korean equivalent of a Stop & Shop. 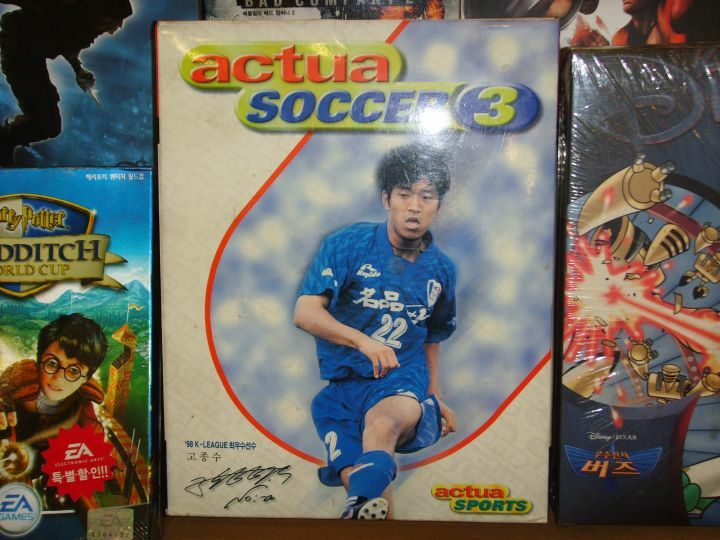 Now, when you go to a shopping mall in America, there are certain things that you expect. FYE and GameStop are located in different parts of the mall; that is to say that you'll never find those two stores sharing the same space. In Korea, I must emphasise that the key word is "find". 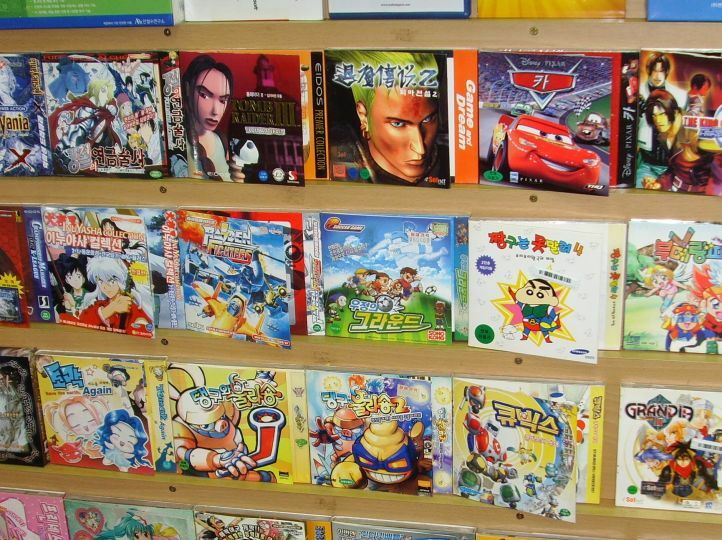 It's not impossible to find console video games being sold in a regular Korean department store, but you'll be hard pressed for a proper selection. 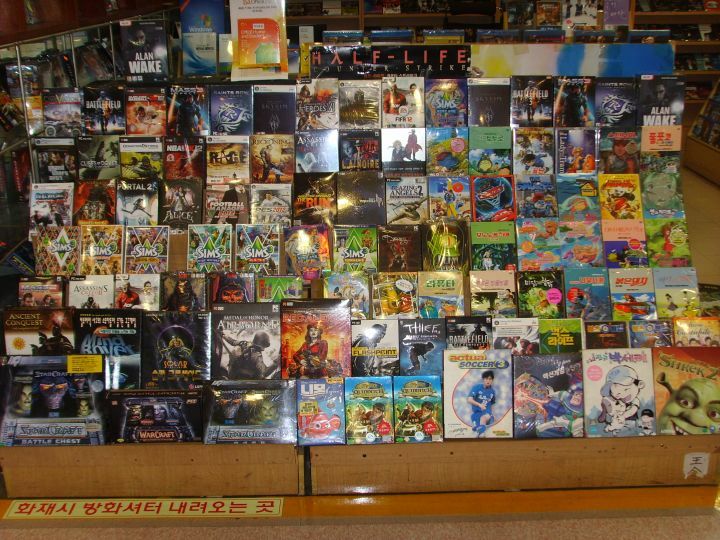 I live near a mall that relegates its video game section into a small corner in the back of a kid's toy store. I used to pretend to be shopping for stuffed toys and water pistols before I "accidentally" found myself standing next to a pitifully small selection of console games that even my lonely PS3 wouldn't begrudge a playthrough, but I've since quit that embarrassing masquerade. These days, I hop on the subway and head for "electronics stores". What I mean by "electronics stores" are few and far between, highly specialised, highly nerdy versions of malls, where you'll find a clump of several console gaming stores taking up an entire story of the mall. 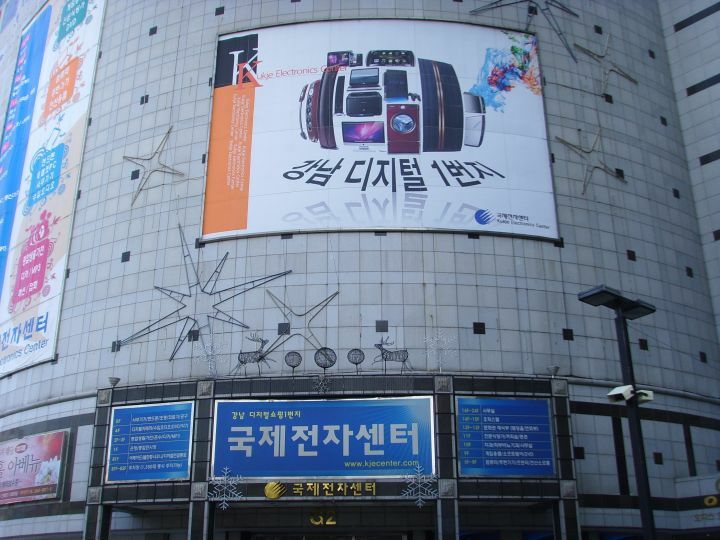 If you live in Seoul, and you want to buy games, you might want to check out the electronics market at Yongsan. 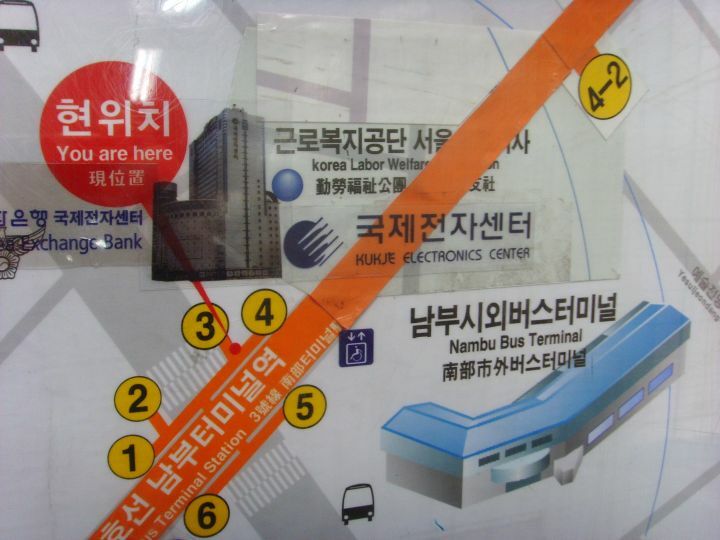 I live close enough to a smaller one called the Kukje Electronics Center, located right next to the Nambu Bus Terminal station, that I decided to head over there and see if I couldn't get some pictures for you, Kotaku readers. The escalator in the back is the only way up. Take it to the ninth floor. Right away, you'll note that these stores are basically open booth affairs. Multiply the size of your local GameStop by 10 and pack that into one entire level of a mall, and the only difference between one and the other store is a thin cubicle divider. It's a nightmarish mishmash of stability and chaos. I played the part of a window shopper, and I talked briefly to most of the shop owners. I got the sense that they were mostly friendly and obliging, but desperately; you know, they really want you to buy their games. One was dismissive and rude. One was talkative and easy going; the store was called Shin-ra Media, and Mr Cho Yong-seong, the owner, was good enough to let me take pictures of his entire shop. I quickly took pictures and then we got into an hour long discussion about movies, during which several customers came and went, looking for the latest PC games. 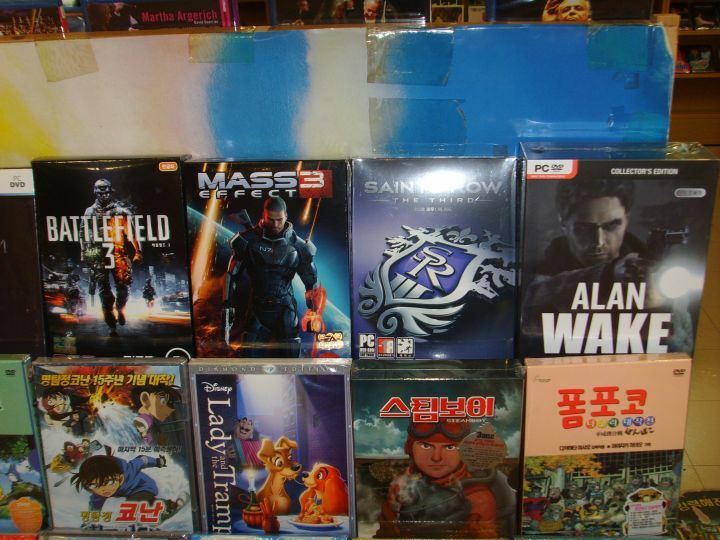 It just so happened that Mr Cho's store was the only store on the entire floor that carried PC games. PC games and movies. Nobody bought anything, but all throughout, Mr Cho was polite to the last. 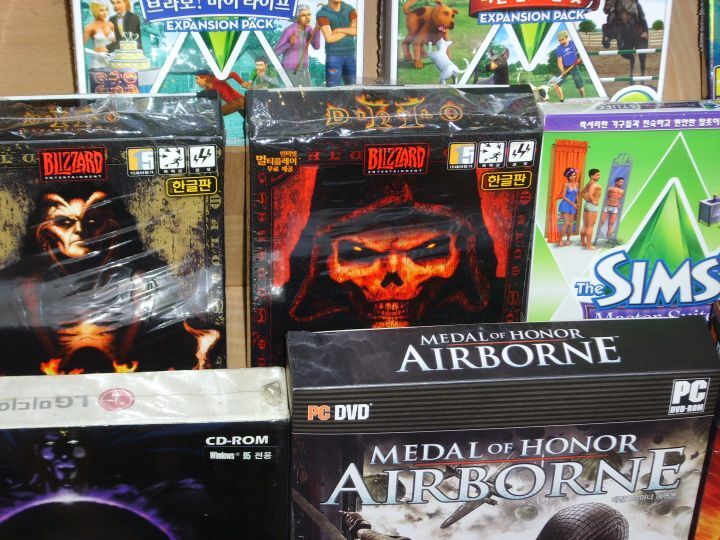 Koreans are known for their love of PC gaming, but there is a market for console gaming, albeit in a more niche fashion than in many other countries. Many of these electronics stores have one or two booths that very openly sell modified Wiis, Xbox 360s and PSPs. 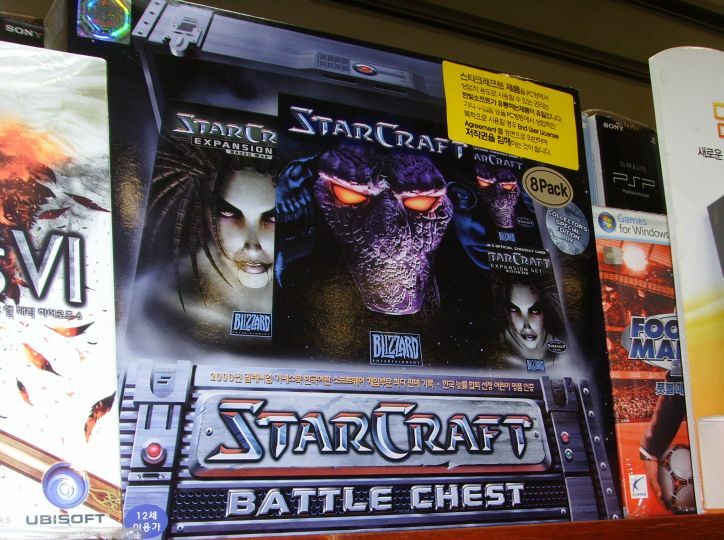 Console modification is advertised openly and people sell their modified consoles openly. And yet, these businesses somehow work beautifully; it's a wonder to see console gaming survive in such an unstable business environment. When I came to Korea, I brought two of those Microsoft RRoD boxes. One had my Xbox 360. The other had my PS3. To this day, my fat, 60GB PS3 hasn't hiccuped without my say in the matter. In contrast, I still have four more of those RRoD boxes at home in America. I brought these consoles with me to Korea, perhaps in order to bring a bit of stability with me from home to a place I barely knew. That is the operating word in "consoling," isn't it? But I'm glad my Xbox 360's power brick died. Otherwise I would have remained ignorant of these video game oases, and the people who make them work.